Websites for tradespeople including builders, plumbers, electricians whatever your trade, we have everything you need to launch or improve your existing website. Have you got a website project in mind? We are a professional WordPress Web Design Company. Therefore, when you hire us, you will start off on the right foot, and have access to a wealth of knowledge and experience. Furthermore, your website will be mobile friendly attractive and high quality. Consistent branding, being user-friendly, with responsive design, quality photography, SEO copywriting and excellent site structure for easy navigation are standard. Also, all our websites are built on clean, optimised code with smart design architecture for achieving the best rankings possible. They follow WordPress security best practices. A Web Designer is there to help you find solutions to your business problems. Correspondingly, they can be a useful consultant for tradie business owners in online marketing matters. Let me know the goals for your website project and where you would like to see the business go in the next 12 months. Furthermore, if you are thinking of a website redesign, consulting with a web designer can be very helpful early on in the planning stage. A good Web Designer will want to understand your Marketing Strategy. Or if you don't have a clear strategy, they can partner with you to create or clarify your existing one. We will work with you, the business owner, to create an effective Website Marketing strategy. We offer a range of Marketing services including SEO, content creation, social media, Email marketing as well as recommend to you partners in PPC and other online advertising. We offer white-hat SEO plans to improve your rankings. Search Engine Optimisation (SEO) can be overwhelming for the small business website owner. The dynamic nature of SEO means that advice from even two years ago may not now be relevant. But having a website is now no longer sufficient, you need marketing tools like SEO to get to the top of search lists. We design from the beginning with your SEO in mind and offer SEO plans that will continue to build your ranking. We off a range of Website Care and Support plans to give you hassle-free maintenance. 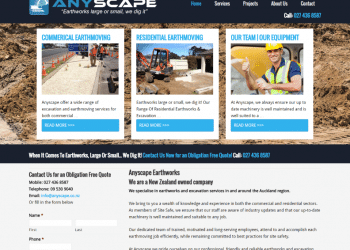 Need a great website for your tradie business? Take to small business web specialists. I offer website care packages which include support tasks, daily backup, monitoring and security checking. Those businesses on website care packages receive priority support and proactive care and updates. 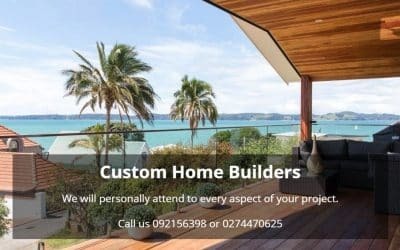 Just starting out or have a small website project? A 4-page small website starts at $595 + GST. The videos really helped me learn how to build my website on my own! I contacted Tarnya when I was looking to switch my website from Wix to WordPress. Tarnya moved my site across to WordPress in a gorgeous template which was a perfect fit for my blog. She made a number of easy to follow You Tube videos that were specific to my site. This really helped me learn how to build my website on my own and I am sure I will go back to these videos as and when I need them. I will continue to work with Tarnya as I grow my blog and website. Campbell Park has increased its bed nights from 2293 in 2009 to 6814 in 2014. This is largely due to our great website attracting new customers. A few days ago I had an enthusiastic person comment about our amazing website, but was very disappointed when the dates she wanted to book a family reunion had already been booked. Tarnya of Build You Website created the site and continues to advise and maintain it. Tarnya is quick and efficient and great to deal with. I thoroughly recommend her service. Thanks Tarnya for all you help . Campbell Park has increased its bed nights from 2293 in 2009 to 6814 in 2014. This is largely due to our great website attracting new customers. A few days ago I had an enthusiastic person comment about our amazing website, but was very disappointed when the dates she wanted to book a family reunion had already been booked. Tarnya of Build You Website created the site and continues to advise and maintain it. Tarnya is quick and efficient and great to deal with. I thoroughly recommend her service. Thanks Tarnya for all you help . In lighting fast time and on budget ! After spending so much time on trying to get my old website looking up to date Tarnya turned around a whole new site that we very proud of, in lighting fast time and on budget. We are so pleased with the result! The instruction on how to update the site are easy to follow and Tarnya has been quick to responded with any other queries we've had. I can't recommend the service highly enough. Thanks Tarnya. After spending so much time on trying to get my old website looking up to date Tarnya turned around a whole new site that we very proud of, in lighting fast time and on budget. We are so pleased with the result! The instruction on how to update the site are easy to follow and Tarnya has been quick to responded with any other queries we've had. I can't recommend the service highly enough. Thanks Tarnya. I have excellent feedback re the website. Tarnya is easy to contact and communicate with. That fact that any changes or ideas I have for the web site are implemented without delay is a big plus for me. I’ve showed the website to 3 friends with marketing/design background & they are over the moon & think it looks stunning!!! I contacted Tarnya for developing an e-commerce website for my Organic Superfood business. I preferred to work with entrepreneurs like her who helps start-ups and small business to have flexibility, quick response, and save costs but get professional quality results. I have got great feedback about the website and Tarnya has been very understanding of the changing design requirements throughout. She has built a website with great functionality while providing valuable advice all along to save costs. It would have cost me twice as much in time and money to get this done by a bigger company. Overall, it has been a pleasure to work with Tarnya. Can't recommend her enough! I want you to know that I am so pleased with the new website. I have had such wonderful feedback from friends, family and customers. I sincerely appreciate your responsiveness, technical expertise and willingness to get everything just perfect. Your support, encouragement and advice have been extremely helpful in getting my new venture up and running. I want you to know that I am so pleased with the new website. I have had such wonderful feedback from friends, family and customers. I sincerely appreciate your responsiveness, technical expertise and willingness to get everything just perfect. Your support, encouragement and advice have been extremely helpful in getting my new venture up and running. Our Great Website is Attracting New Customers! Campbell Park has tripled its bed nights. This is largely due to our great website attracting new customers. Tarnya created the site and continues to advise and maintain it. Tarnya is quick and efficient and great to deal with. I thoroughly recommend her service. Thanks, Tarnya for all your help. Campbell Park has tripled its bed nights. This is largely due to our great website attracting new customers. Tarnya created the site and continues to advise and maintain it. Tarnya is quick and efficient and great to deal with. I thoroughly recommend her service. Thanks, Tarnya for all your help. I have worked with Tarnya putting together my portfolio website and making subsequent additions to it. Tarnya rebuilt the site from the ground up in a very short time after I was dissatisfied with work done by a previous web builder. It now works properly and has all the capability I wanted. I have always found her very swift and efficient to work with. She understands the brief and always gives me what I want the first time. Communication is easy, her response time is quick, and her fees are honest and fair. I have worked with Tarnya putting together my portfolio website and making subsequent additions to it. Tarnya rebuilt the site from the ground up in a very short time after I was dissatisfied with work done by a previous web builder. It now works properly and has all the capability I wanted. I have always found her very swift and efficient to work with. She understands the brief and always gives me what I want the first time. Communication is easy, her response time is quick, and her fees are honest and fair. I would highly recommend her. Ten Feet Tall's website each year, looks better and is being utilised more thanks to Tarnya's website designing skills and experience. I find Tarnya really easy to work with, she is a great communicator and always clarifies what I want, she gives really good advice and provides really clear explanations and 'how to' information. Not only does she make changes quickly she helps me to understand how to manage my site and grow my SEO. She understands I have limited funds and I feel confident when I ask for her help my design time is always maximised. I am very grateful for her support and advice and will continue to grow my business with her website expertise. Ten Feet Tall's website each year, looks better and is being utilised more thanks to Tarnya's website designing skills and experience. I find Tarnya really easy to work with, she is a great communicator and always clarifies what I want, she gives really good advice and provides really clear explanations and 'how to' information. Not only does she make changes quickly she helps me to understand how to manage my site and grow my SEO. She understands I have limited funds and I feel confident when I ask for her help my design time is always maximised. I am very grateful for her support and advice and will continue to grow my business with her website expertise. We engaged Tarnya to upgrade our website and make it more user-friendly and informative to our customers and easier for us to make changes to it. Tarnya has done a great job, she is very approachable, knowledgeable and attentive. The job has been quickly and professionally, it is great not having to deal with a large organisation where you get passed between different people. I would highly recommend her. We engaged Tarnya to upgrade our website and make it more user-friendly and informative to our customers and easier for us to make changes to it. Tarnya has done a great job, she is very approachable, knowledgeable and attentive. The job has been quickly and professionally, it is great not having to deal with a large organisation where you get passed between different people. I would highly recommend her. 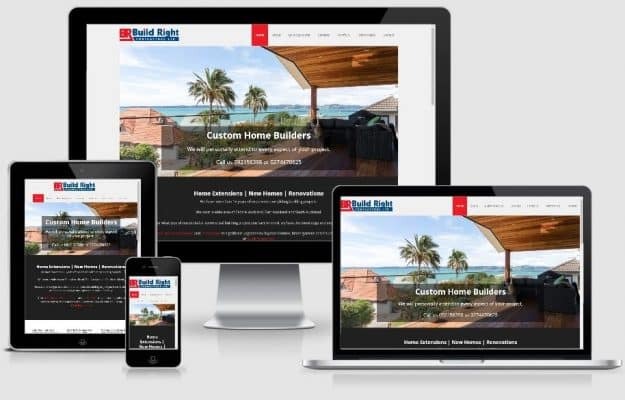 My wife and I engaged ‘Build Your Website’ in 2015 for the purpose of building a new website for our existing business. Tarnya introduced us to the concept of search engine optimisation. As novices, we both benefited greatly from her tuition and support over these last two years. Tarnya’s personalised videos showing us how to perform individual tasks were particularly appreciated and very useful. We own an art gallery and recognise that SEO is not a silver bullet, but it is the next best thing to a marketing strategy that is cost effective and has a reach far greater than other traditional methods of marketing. Tarnya’s SEO input as regards website design, backlinks, use of keyword phrases and the one on one training she provided has helped us to markedly increase our visibility and develop our business in the right direction. Tarnya’s been a great help in our journey to Search Engine Optimisation. We contracted Tarnya of Kitchen Table Web Design to migrate our site onto the Hoppon network for our non-profit organisation. She also updated our website and moved it to one of the available themes while keeping our look and feel. We had a number of complications to overcome as our site is on a subdomain of an umbrella organisation and there were a few stakeholders involved. We can highly recommend Tarnya – we have always found her very responsive, competent and easy to deal with, and her rates are reasonable. 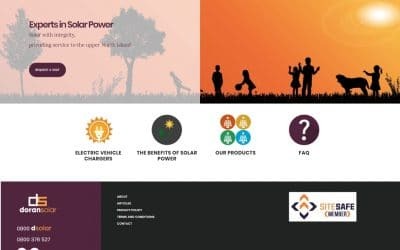 We contracted Tarnya of Kitchen Table Web Design to migrate our site onto the Hoppon network for our non-profit organisation. She also updated our website and moved it to one of the available themes while keeping our look and feel. We had a number of complications to overcome as our site is on a subdomain of an umbrella organisation and there were a few stakeholders involved. 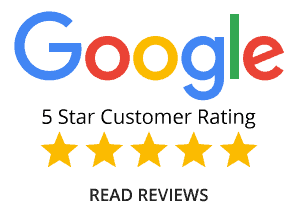 We can highly recommend Tarnya – we have always found her very responsive, competent and easy to deal with, and her rates are reasonable. 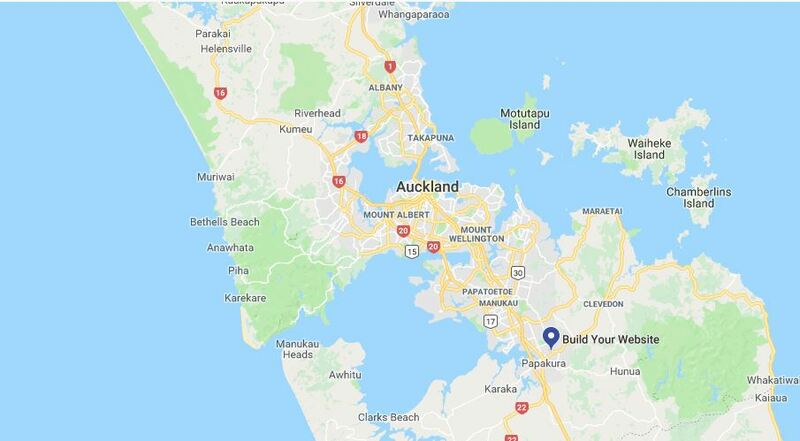 We are located in a Home Office in Papakura, just South of Manukau in South Auckland. We serve Small Businesses through the Auckland Region. You can come and have a cup of coffee around my kitchen table or at your place of business or we can meet over Skype.